Carolside is a late 18th Century mansion set in beautiful parkland. 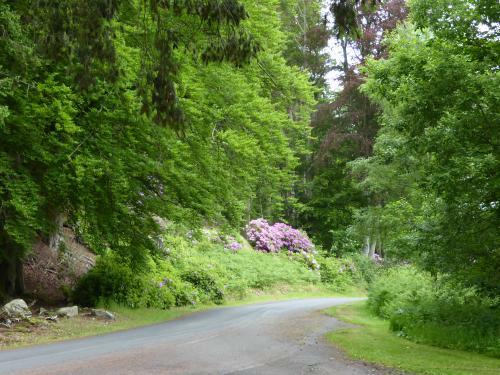 A former deer park, flanked by wooded hills it nestles in a bend of the River Leader in the Scottish Borders. 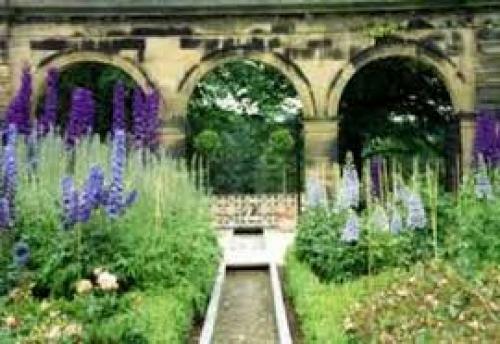 The ovall walled grden has been cultivated for over 200 hundred years and was a well know rose garden in Edwardian days. 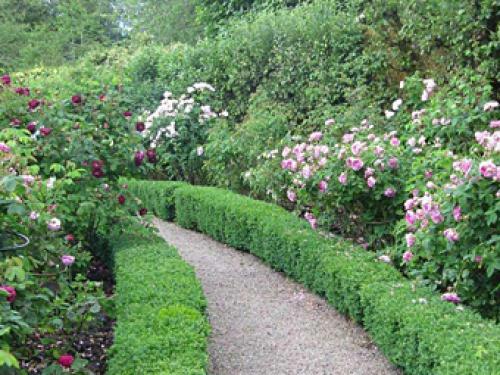 Today Carolside has an important historical collection of roses and houses a National Collection of pre 1900 Galica roses. 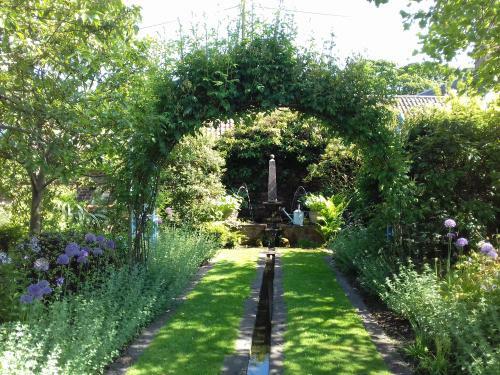 01896 Carolside is a romantic and beautiful garden comprising herbaceous borders, a potager, delphiniumbeds,parterres, a secret garden, herb garden, winter garden, mixed borders and river walks by the 18th century bridge. 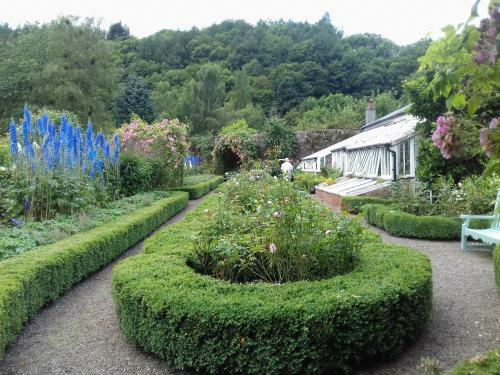 Kenneth Cox in his book Scotland for Gardeners describes Carolside as 'one of Scotlands finest private gardens. Open July Tel: 01896 849 272. www.carolside.com. 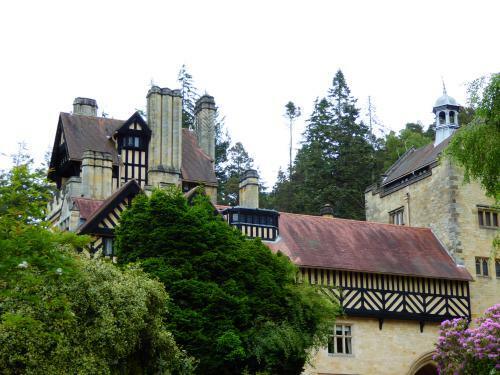 Cragside House and Gardens is a mock Tudor House in Rothbury, Northumberland set in 1,000 acres of forest gardens. 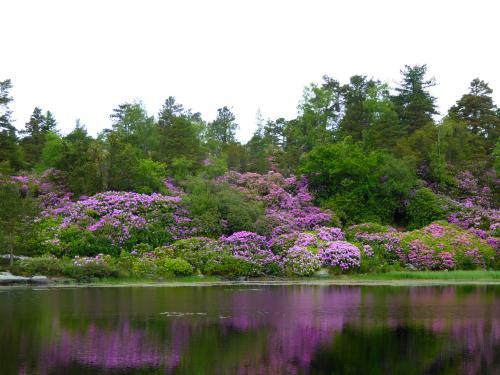 It was built in 1863 by Lord Armstrong on a rocky hillside and is famous for its Rhododendrons. Lord Armstrong, an armaments manufacturer installed the worlds first hydroelectric power system and generators to provide power which were housed in the farm buildings. The architect was Richard Norman Shaw. The magnificent trees and lakes are breathtaking. 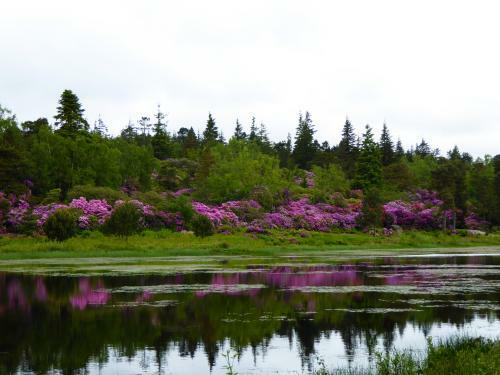 www.nationaltrust.org.uk/cragside. 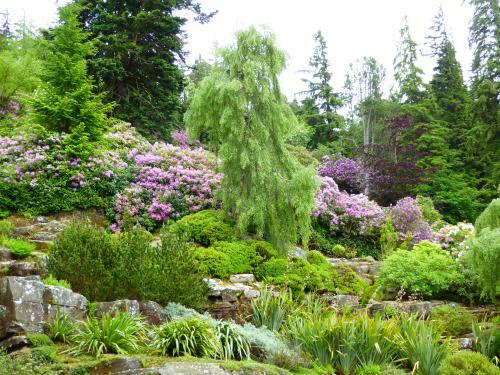 Dawyck Botanic Garden is an historic, richly landscaped woodland garden which has been in the care of the Royal Botanic Garden Edinburgh since 1979. 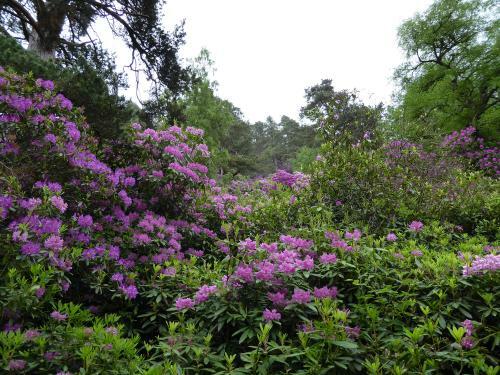 It hosts not only one of Scotlands finest tree collections but an array of shrubs and herbaceous specimens that provide interest for visitors in every season. Tel: 01721 76254. www.rbge.org.uk. 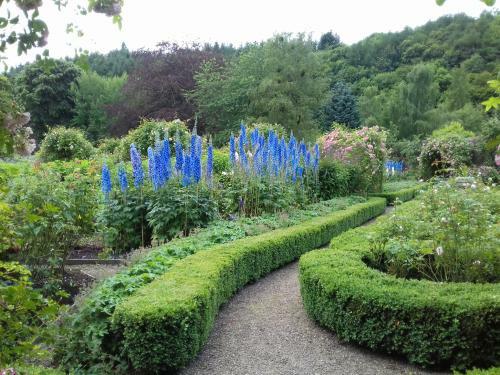 Kailzie Gardens, a walled garden dating from 1812 is situated 2.5 miles from Peebles in the Scottish Borders. It is open 7 days a week throughout the year. 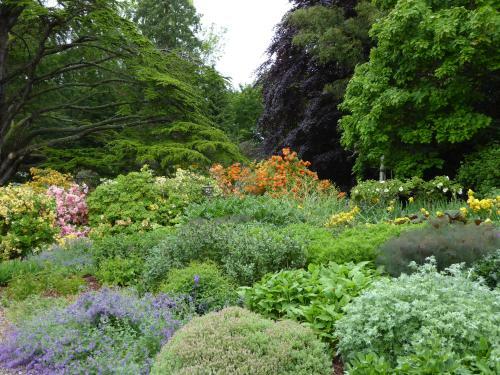 The gardens during the different seasons provide wonderful displays of snowdrops, daffodils, bluebells and a rich variety of colour for the keen gardener. 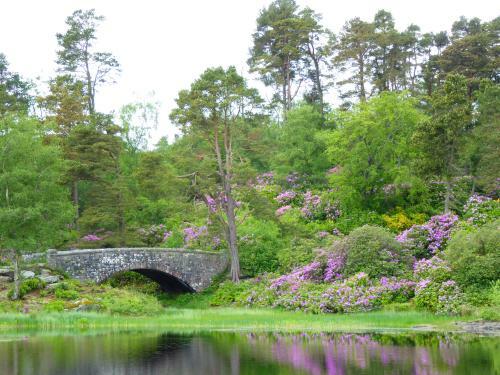 Other attractions include live viewing of the Tweed Valley Osprey's and there is also a 2 mile stretch on the River Tweed for fly fishing. The Court Cafe is open 7 days a week. 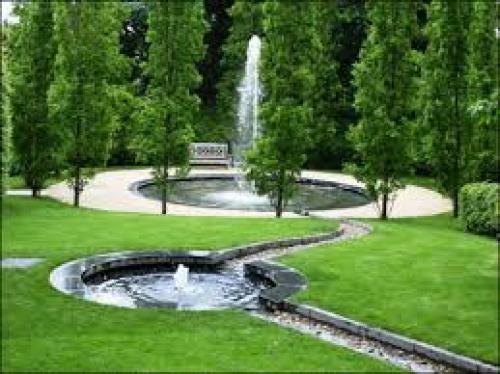 Tel:01721 722 0007. www.kailziegardens.com. 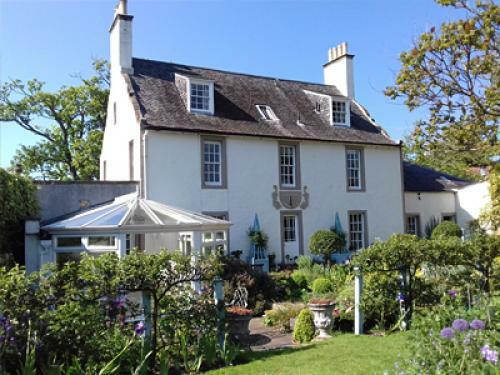 Mertoun House was designed by Sir William Bruce for Sir William Scott of Harden and was built in 1703-5. 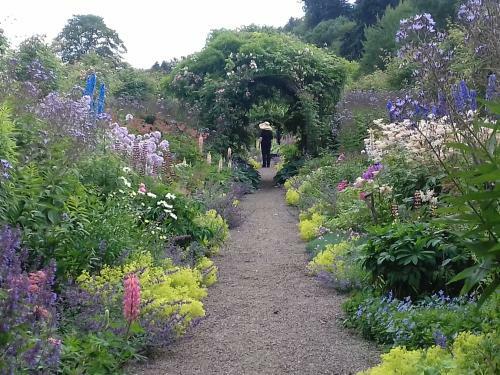 Situated on the banks of the River Tweed this 26 acre garden has a wonderful walled garden, speciman trees and extensive herbaceous borders. Open 1st April - 30th September, Fridays, Saturdays, Sundays and Mondays. www.mertoungardens.co.uk. Priorwood Gardens is dedicated to the art of dried flower arranging with an impressive variety of heritage apples. Located in the ancient precinct of Melrose Abbey it houses 90 different kinds of organically grown apples. Picknicking in the old orchard and visiting the woodland area with shade loving plants is a lovely expedition. www.nts.org.uk/visit/places/priorwood-garden. 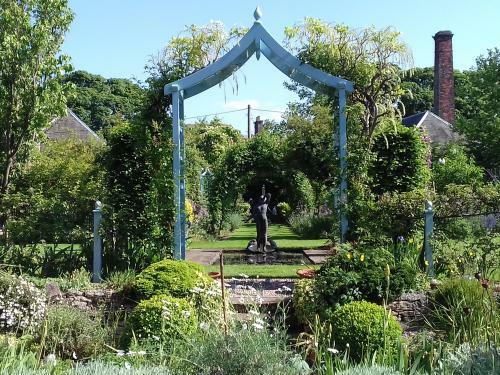 Shepherd House Garden dates from 1690 and is surrounded by high walls in the village of Inveresk which was originally a Roman Camp. 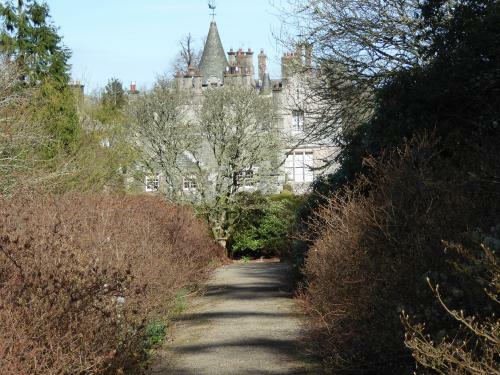 Owned by Sir Charles and Lady Fraser since 1957 it is a complete delight to visit. Tel: 0131 665 2570 www.shepherdhousegarden.co.uk. 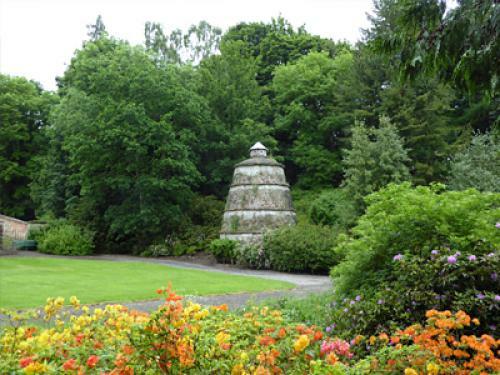 A short distance from Kelso the Teviot Water Gardens, Smokery, Garden Centre and Restaurant are a lovely place to visit. 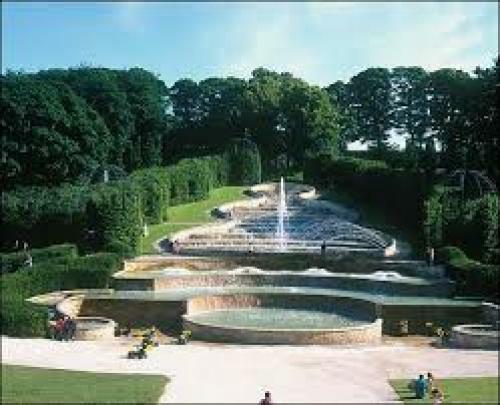 Open 7 days a week the terraced Water Gardens nestle into the River Teviot waterbank. It is a haven for wildlife such as Badgers, Otters, Woodpeckers and Kingfishers. 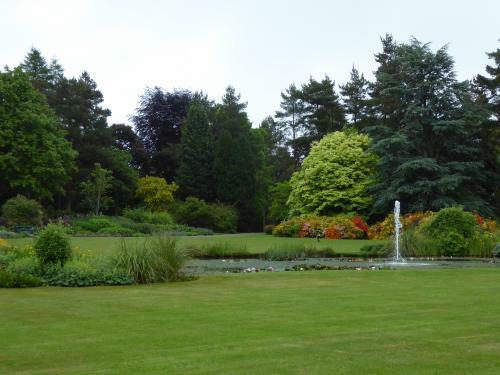 A series of ponds, streams, waterfalls with a variety of aquatic plants line the hillside. 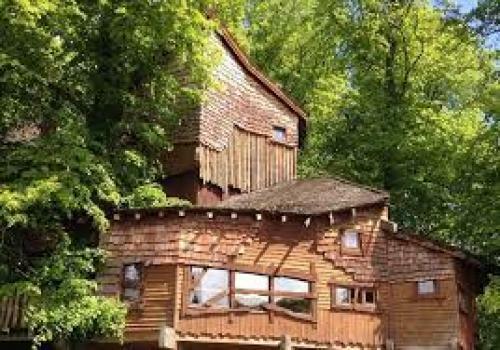 The Garden Centre, Smokery, Shop are fully of interesting goods and the Restaurant a delightful place to have a meal. Tel:01835 850 253. www.teviotgamefaresmokery.co.uk.